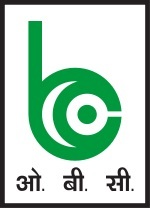 Oriental Bank of Commerce, shortly referred as OBC Bank, founded in 1943 is headquartered in Gurugram, Haryana. Find below the list of Oriental Bank of Commerce bank branches in Gurugram along with their address, contact number and IFSC code. Address: Chandrawati Senior Secondary School, Tauru, Distt. Gurugram.